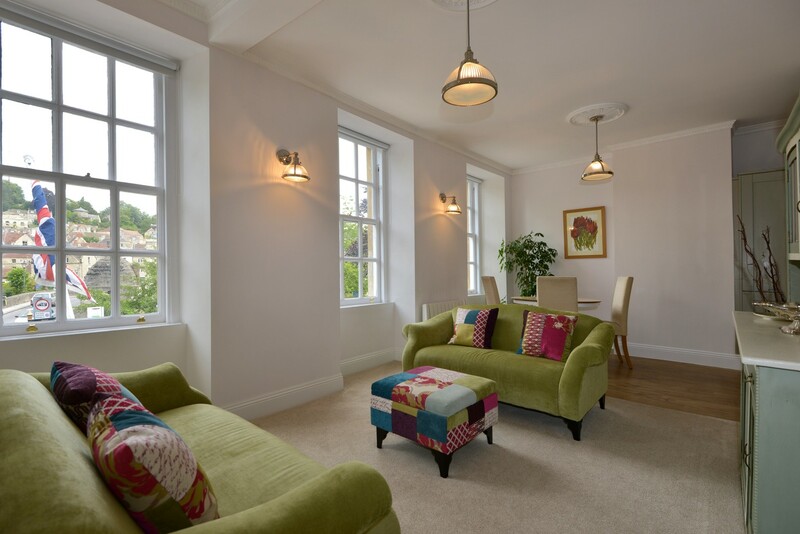 A self-catered apartment in Bradford on Avon, recommended by the Guardian. 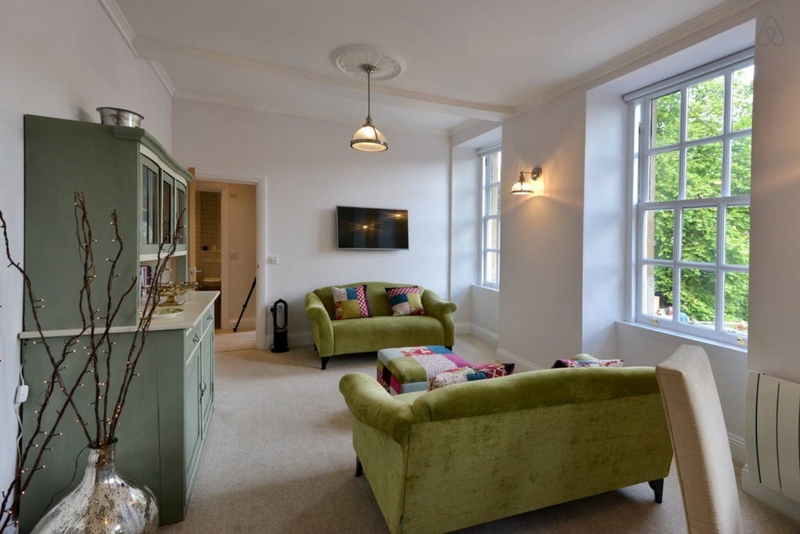 We've recieved over sixty reviews since renting through Airbnb, and every one has been five stars. You can read these reviews as well as our recommendation in the Guardian on our testimonials page. 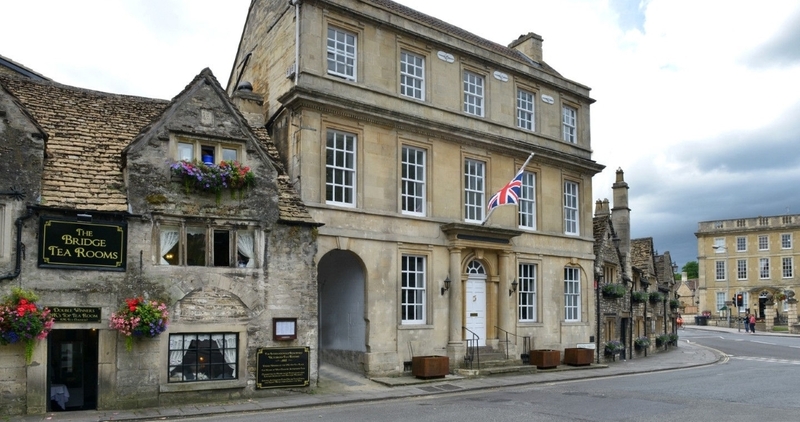 The Georgian Lodge sits at the centre of Bradford on Avon - named the best British town to live in by the Times. The Roman city of Bath is a ten minute train journey away. 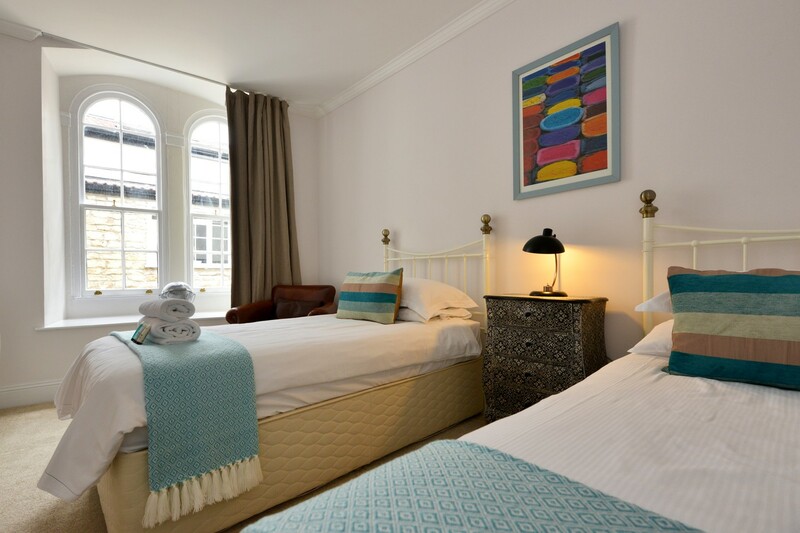 The apartment features a master double bedroom and one twin bedroom. While the original Georgian exterior, shutters and windows have been preserved, the interior has been updated for modern living. The living room features two velvet sofas and a 32-inch TV with Netflix. 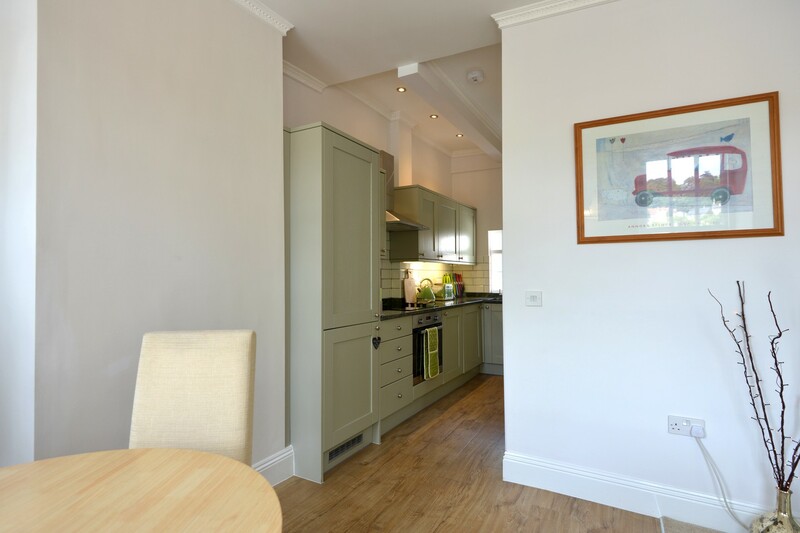 The kitchen, dining room and living room are open plan. The original windows give a view of the town below. 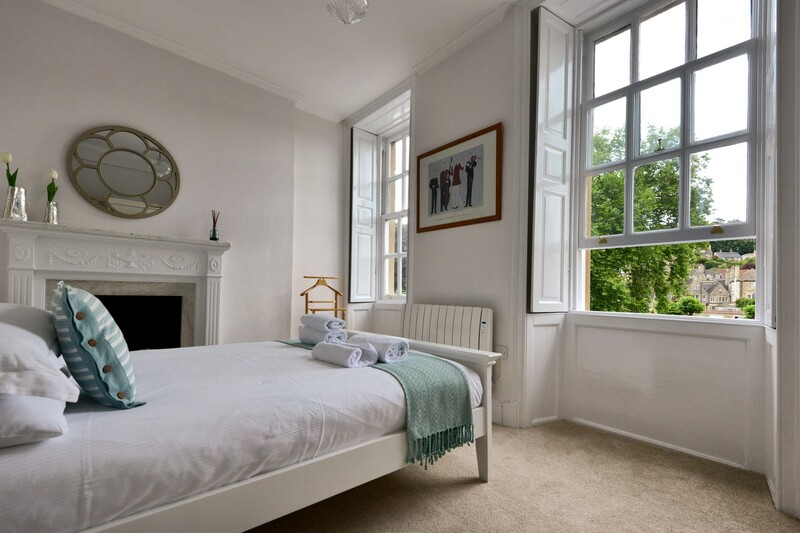 The twin bedroom features a wardrobe and arched windows. The pre-stocked kitchen houses a fridge/freezer, washer/dryer, and fan oven.